The Diverse Attractions of Kerala! 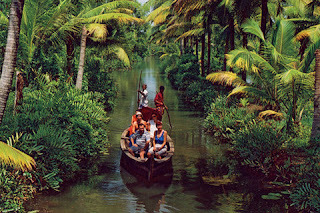 Kerala is known as “God’s Own Country” and anyone who has visited the place will easily understand why. Lush with thick green forests, abundant and diverse wildlife, natural landscapes, replete with amazing ancient temples, mosques and culture, Kerala seems to have been created with care and detail. The state has something to offer to every kind of traveler. If it is exotic cuisine you are looking for, nothing can beat the varied native menu, with both, veg and non-veg dishes, especially the local fish curries. Each city in Kerala has its own specialties to offer. For culture enthusiasts, there are several social and traditional arts, architecture and performances to peruse. 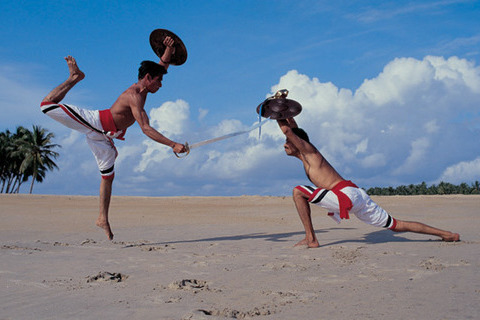 These include the Vedic martial art of Kalripayyattu, Mohiniattam dance, the rock-carved temples and much more. For the nature lover, Kerala has one of the largest and pristine beach lines in the world. The state also possesses an intricate waterway of canals that meander through small villages, jungles and witnesses amazing wildlife and fauna. Starting at its southernmost tip is Kanyakumari situated on the edge of the Indian Ocean. One can begin by visiting the Vivekananda Memorial, besides the Wax Museum, Velli Gardens, Raja Ravi Varma Art Gallery and relax by the beach. Alleppey is another town, offering visitors the beauty of its backwaters. You can glide through lagoons and canals, watching the breathtaking greenery and the local villages. Nearby, is the Periyar Game Sanctuary. A must-see for its wildlife, from huge elephants, deer and crocodiles. A boat ride takes you across Periyar Lake, allowing a complete view of the hills and the waterholes used by animals. Here, you can enjoy cultural dance performances and buy exotic spices from the Kumily Spice Village. In Munnar, you can visit the famed Echo Point, Eravikulam (Rajamalai) National Park and the Tea Garden, besides taking a boat ride to Mattupetty Dam. Kerala is also home to the “Dwaraka of the South”, the ancient Guruvayoor Temple, dedicated to Lord Krishna. A spot not to be missed is the Elephant Sanctuary. Moving further towards Cochin via Kaladi, there is the birth-place of the spiritual seer, Adi Shankaracharya.Cochin itself, houses the Church of St. Francis, the Jewish Synagogue and the Dutch Palace. There is also a Harbour Cruise to watch the Chinese Fishing Nets. Kerala is an amalgamation of old and new, from rural village huts to modern architecture, hill-stations to verdant beaches. For the shopaholics, Kerala has a treasure of goodies. Traditional handicrafts, traditional silk, coir products and much much more. Make sure to visit this beautiful Southern state in India and capture memories that are unparalleled.